Hi everyone. Travis back with an update about some Tampa Bay Entertainment that we told you about before. 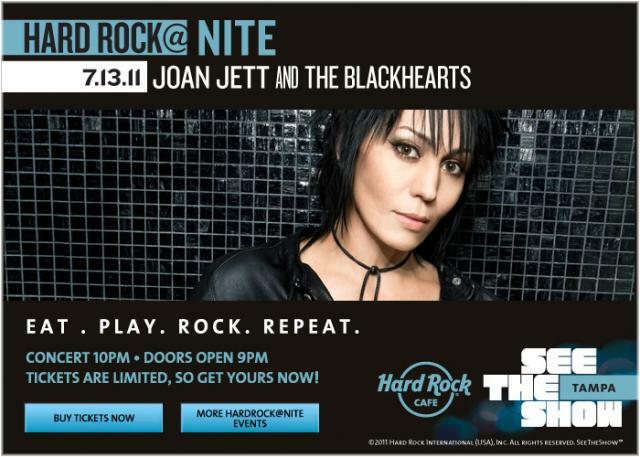 In case you weren&apos;t aware, Joan Jett and the Blackhearts played last night at the Hard Rock Cafe Tampa, at the Seminole Hard Rock Hotel & Casino. Let me just start by saying the Hard Rock Cafe is one of the premier event/concert venues in all of Tampa Bay and Central Florida! Whether your down in the pit or up by the main bar, you&apos;ve got a perfect view of the stage...allowing you to rock out with your choice of performers. For those that choose, there&apos;s even a VIP area in the lower area of the venue, which provides bottle service and a server so you don&apos;t have to make your way to the bar (unless you want to). I&apos;ll commend Joan for actually starting RIGHT on time and getting things going hard and fast! No cover bands...no long introductions...just rock-n-roll! And the crowd was loving it. Of course we heard some the classics, including I Love Rock N Roll, Crimson & Clover, and Do You Wanna Touch Me...along with others that kept the crowd excited (to say the least). They played for about an hour and 15 minutes before thanking the crowd and heading off stage. But for some reason, we all knew that wasn&apos;t the end of the show. After a couple minutes of cheering, they came back out and performed a few more songs for everyone, before calling it a night. 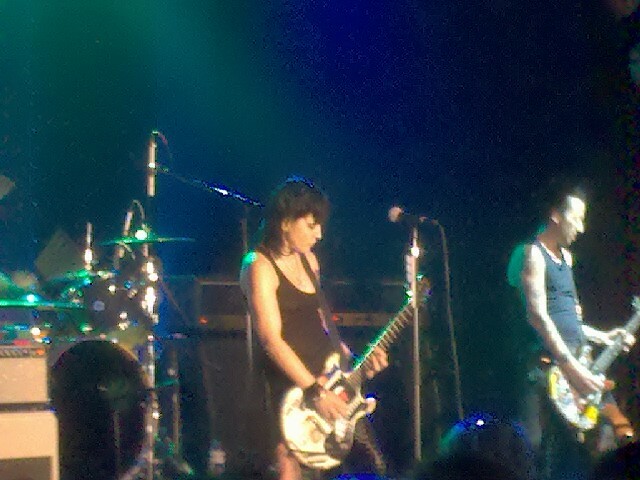 Let me tell you, this was an hour and a half of pure rock-n-roll, and Joan still knows how to work a crowd. This was undoubtedly one of the best concerts I&apos;ve ever been to, and certainly one of the best at the Hard Rock Cafe Tampa (although they are all good there). If you get the chance, check out one of the upcoming concerts, and get there early to enjoy the atmosphere. Between the Cafe and the Casino - and everything between - it will make for a memorable night! Head over to www.seminolehardrocktampa.com to get more information about the cafe and upcoming events. And of course, keep checking back here for more great things to do in Tampa Bay.